People between the ages of 50 and 65 often pay extremely high medical insurance premiums. What they may not realize is that many of them may qualify for a discount on their medical insurance if they take advantage of the ACA or Affordable Care Act. This is an income based discount and may only be available if you apply during the annual open enrollment period. Currently, those who want to investigate whether or not they qualify for lower medical insurance premiums through the ACA need to apply between November 1 and December 15. Those who miss the deadline but have what is considered a special qualifying event, such as an adult child who recently lost coverage under their parents' plan, or someone who has lost their employer sponsored or COBRA insurance, can apply at any time of year. However, they must apply within 60 days of the time the "qualifying event" occurred. This program is available even if you only need the coverage for a few months until you get a new job or qualify for Medicare. If you have not been eligible for a discount through the Affordable Care Act in the past, you may still want to try again this year. Several states, including Idaho, Utah and Nebraska, have recently passed Medicaid expansions, which means hundreds of thousands of people who previously were not eligible to receive help from the Affordable Care Act are now eligible. Other states have also expanded their programs. 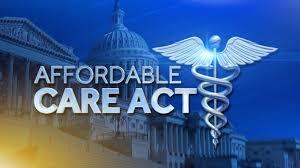 The official national website for the Affordable Care Act is: healthcare.gov. On the website you can either apply immediately for medical insurance or learn how to get personal help in the state where you live from a local agent or broker. There is even a "Quick Start" guide on the website to make the application process easier. If you live in California, the official site for receiving information about the Affordable Care Act is: Covered California. You can apply online or you can use the website to find the location of offices where you can get personal help with the application process. You may also see small offices for Covered California in malls and shopping centers, manned by experts who can help you through the application process. According to the healthcare.gov website, "Under current law, health insurance companies can’t refuse to cover you or charge you more just because you have a “pre-existing condition” — that is, a health problem you had before the date that new health coverage starts." "You and your family may be eligible for some important preventive services at no additional cost to you. It is important to pass this information to anyone you know who may benefit from the ACA, including your adult children who may no longer be eligible to be covered by your insurance. Getting them insured under the Affordable Care Act could save you a great deal of money if they become injured or ill. The advertising budget for the ACA has been drastically cut, so many people do not realize they are eligible and that we are currently in the open enrollment period. There are virtually no television ads for the program. Feel free to email this information to friends you believe could benefit, or post a link to this article on Facebook, Twitter or other social media you use. By sharing this information, you could make life much easier for someone who is not old enough to be eligible for Medicare, and may be feeling overwhelmed by the high cost of their medical insurance premiums. If you are interested in learning more about Medicare, Social Security, common health problems as you age, where to retire in the US and abroad, financial planning and other retirement related issues, please use the tabs or pull down menu at the top of the page to find links to hundreds of additional helpful articles.